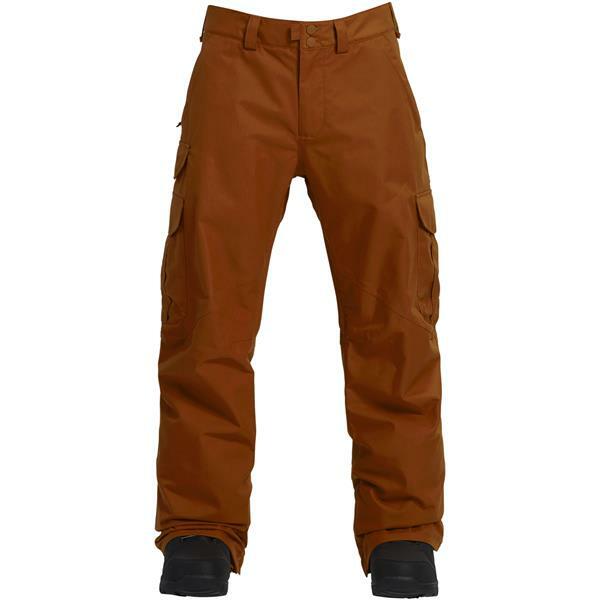 These 2019 men's Burton Cargo Mid Fit snowboard pants are a classic choice for anyone looking for a new pair of snow pants that are perfect for skiing, snowboarding, or going for winter hikes. Dryride technology and fully taped seams keep moisture out so that you can stay dry and comfortable for a full day of activity on the slopes. Mesh-lined ventilation helps you stay cool during intense runs. 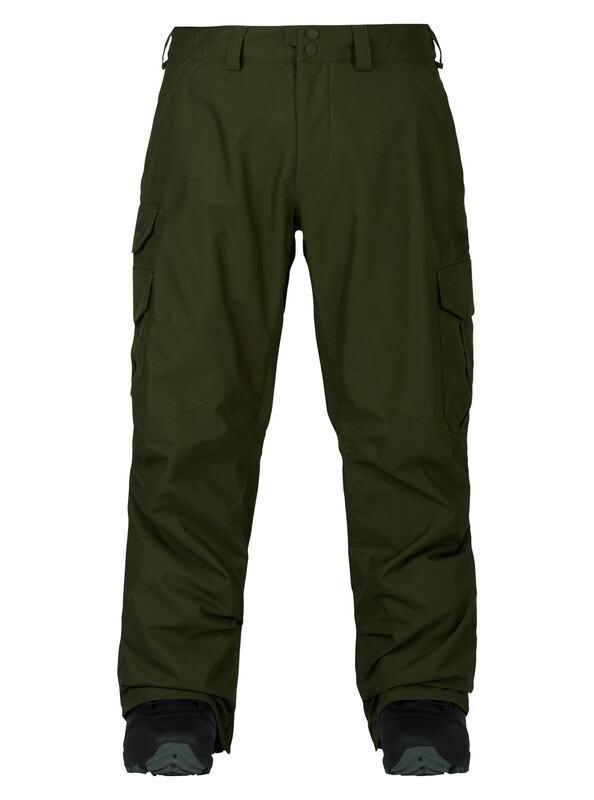 These snow pants include plenty of pockets and a glove loop that are perfect for keeping small items secure while allowing you easy access to them when you're on the mountain. Choose from a variety of neutral colors that are sure to go with any snowboard jacket you have on hand. 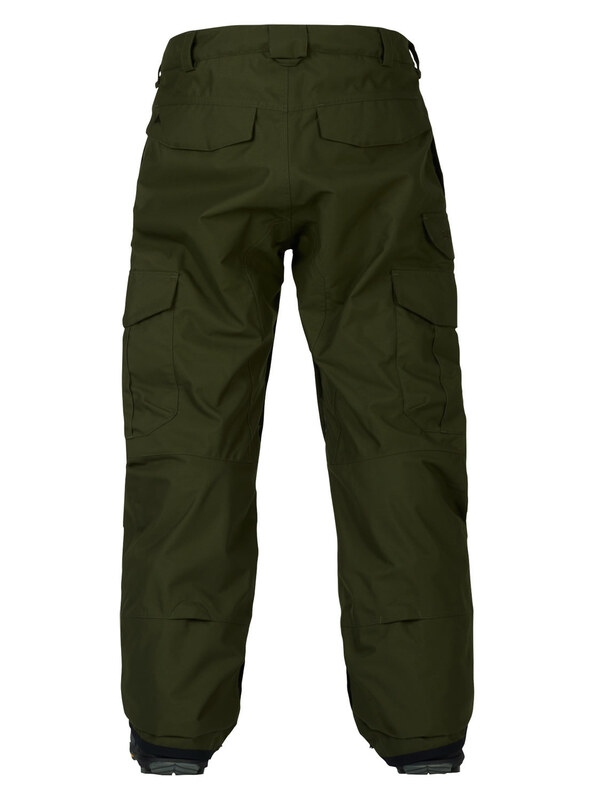 You can't go wrong with a pair of these classic, durable men's snow pants that are up for any adventure that comes your way. Fits great, the skins were a bit too tight. My only issue is the front button isn’t a snap so it’s tough to unbutton with all my gear on. Otherwise perfect. Waterproof and lined for warmth. Will be used for Colorado snowboarding, hopefully they live up to their description. What's the difference between mid fit and classic fit? BEST ANSWER: Classic is a touch bigger. how can i tell if the pants i buy, i can add suspenders to?